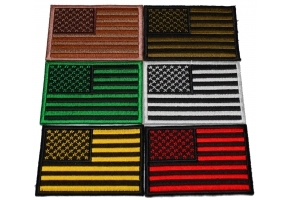 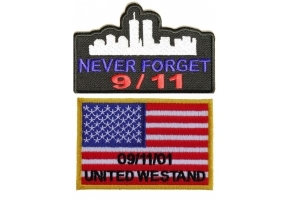 An Old looking American flag patch. 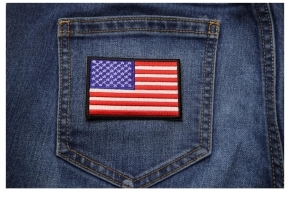 Our flag has been through hell and survived it. 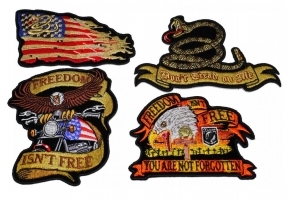 Vintage, time weathered. 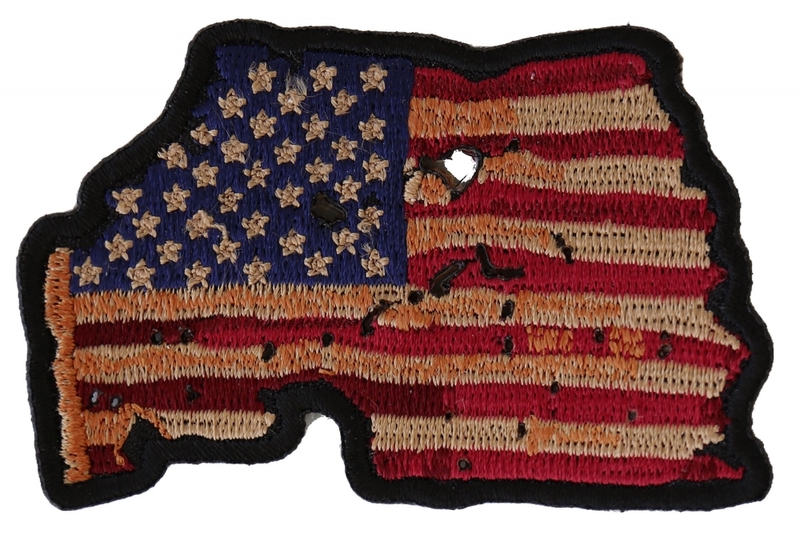 Looks like the flag has survived through battle with shrapnel holes and pieces blown off by mortar fire and soil rubbed in. 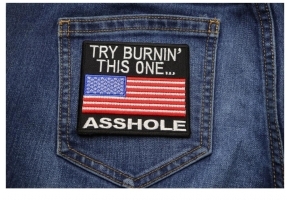 Looks great sewn on your vest. 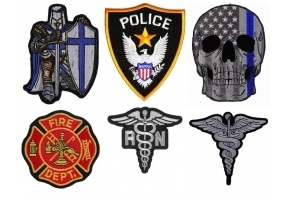 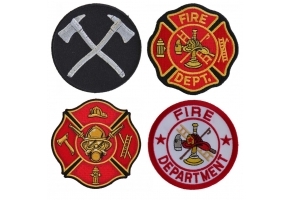 The iron on patch is embroidered and measures 3x2 inches. 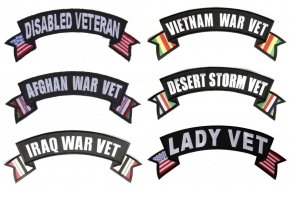 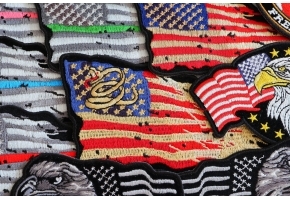 The patch features die cut borders for a clean look. 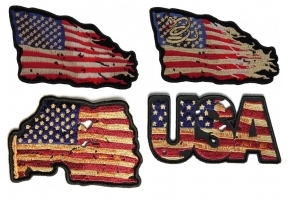 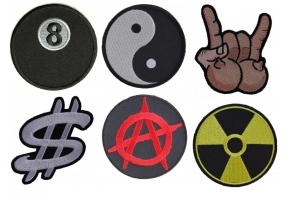 You can sew it on to your leather vest or jacket, press it on to hats, shirts, jeans or belt. 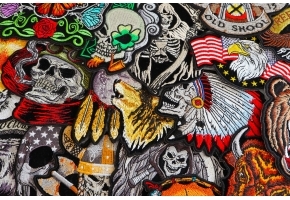 Make a Statement with patches.